Heinrich Wohlers was born on 16 March 1912 at Altkloster in the Stade region of Neidersachsen. Trained as a reconnaisance pilot, Oberleutnant Wohlers was serving with 2. (F)/Aufklärungsgruppe 11 early in the war. He later converted to night fighters and was posted to II./NJG 1 on 23 August 1940. On 26 October 1940, Wohlers was transferred to 8./NJG 1. He claimed his first victory on the night of 12/13 March 1941, when he shot down a RAF Hampden twin-engined bomber near Nordhorn. Wohlers was appointed Staffelkapitän of 8./NJG 4 on 30 April 1942. Hauptmann Wohlers had two victories to his credit at this time. On 1 January 1943, Wohlers was appointed Gruppenkommandeur of II./NJG 4. By the end of 1942, he had increased his victory total to seven, including three RAF bombers shot down on the night of 21/22 December to record his fifth through seventh victories. Wohlers was appointed Gruppenkommandeur of IV./NJG 6 on 13 January 1943. By the end of May, he had nine victories to his credit. In June and July, Wohlers was detached to 3./NJG 1. During his period with the unit he recorded seven victories, including his 10th victory, a RAF Lancaster four-engine bomber shot down near Broich on the night of 16/17 June, two RAF four-engine bombers shot down over Holland on the night of 22/23 June (12-13) and a further two RAF four-engine bombers shot down on the night of 29 June (15-16).  On 1 August 1943, IV./NJG 4 was redesignated I./NJG 6. Wohlers retained command of the newly redesignated unit. By the end of 1943, Wohlers had increased his victory total to 28, including three RAF four-engine bombers shot down on the night of 10/11 August (18-20) and a further three on the night of 27/28 August (22-24). On 11 November, Wohlers was promoted to the rank of Major. Wohlers was awarded the Ritterkreuz on 31 December for 28 victories. 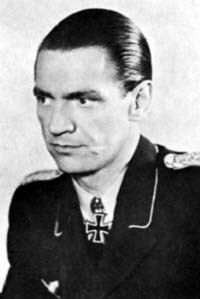 Major Wohlers was appointed Kommodore of NJG 6 on 2 February 1944. On 15 March 1944, Wohlers undertook a transfer flight from Schleissheim to Echterdingen. His Bf 110 G-4 (W.Nr. 5353) suffered an engine failure and crashed attempting a landing in dense fog at Echterdingen. Wohlers and his crewman, Oberfeldwebel Karl Kleilein were killed. A passenger, a staff officer from 7. Jagddivision, Major Münsterer, along to observe on the flight, was also killed. Heinrich Wohlers was credited with 29 victories. All his victories were recorded at night.